Work with iPhone XS Max, iPhone XS/X, iPhone XR, iPhone 8 Plus/8; Samsung Galaxy Note9/Note 8, Galaxy S9 Plus/S9/S8 Plus/S8 and any devices compatible with Qi Wireless Charging. Nightstand Charger – Designed with sleep in mind, the soft LED indicator automatically turns off after a minute to help you get uninterrupted sleep. 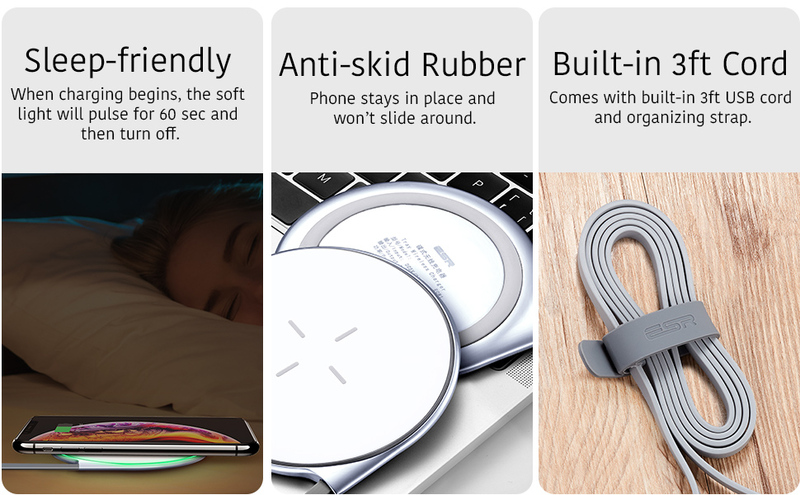 With a slim and compact design, this wireless charger fits easily on any nightstand without taking up extra space and helps you simplify your nighttime routine. 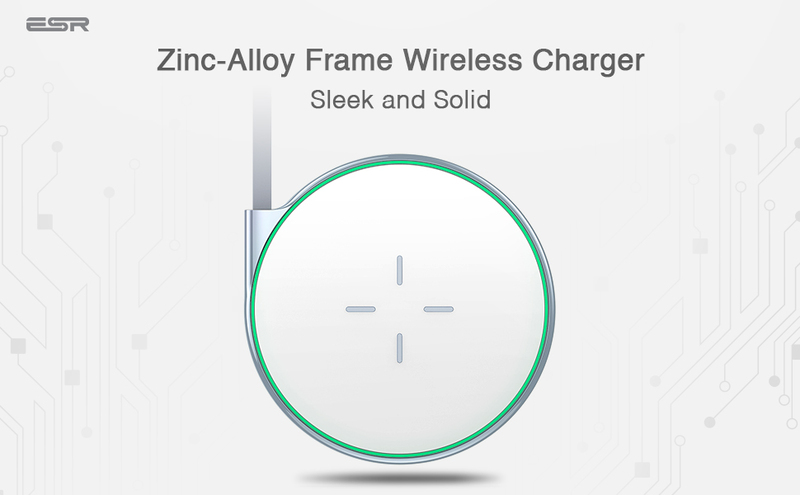 Premium Quality – A sleek and compact design combined with a metal frame means this charger works as good as it looks. Fast Charging – 10W fast charging for your Galaxy Note 9/S9/S9 Plus/S8/S8 Plus/Note 8/Note 5/S6 Edge Plus/S7/S7 Edge (QC 2.0/3.0 adapter needed). 5W standard charging for iPhone Xs/Xs Max/XR/X/8/8 plus and other Qi-enabled phones. We recommend using a QC (5V/2A) power adapter. When using a standard Apple power adapter (5V/1A) or a computer USB port to power the wireless charger, it is possible the power will be insufficient to charge your phone properly. 1. Why is the charger heating up when charging? It is normal for the receiving coil or plate to heat up during the wireless charging process. We use a zinc alloy for better heat dissipation. 2. Why is my phone not charging when placed on the charging pad? First, please ensure your phone is Qi wireless-charging compatible. Second, please make sure the phone is aligned with the center of the charging pad. Please remove phone cases thicker than 4mm. If you have any question about compatibility or alignment, please let us know so we can help you. First, please make sure that the phone is properly aligned with the center of the charging pad. If your phone supports fast charging, it requires a QC 2.0 or QC 3.0 AC adapter (not included) for fast charge mode. Reducing the phone’s background applications may improve the charging speed. The ESR Wireless Charger is compatible with most phone cases. However, phone cases thicker than 4mm (like OtterBox) may affect wireless charging. Very good wireless charger for smartphones. 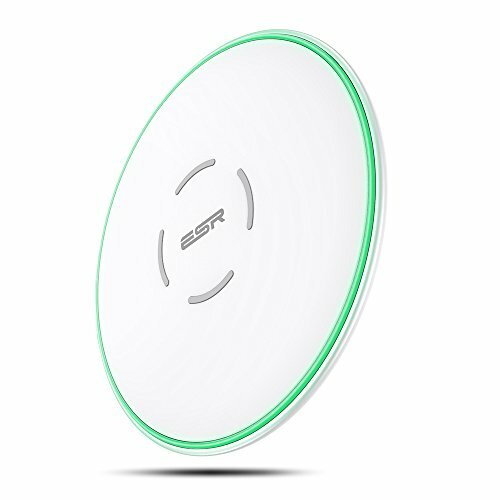 Indicates by means of the green glowing ring briefly that an inductive charging is started and then switches itself off again. Important for operation in the bedroom, where I would feel the bright charging LEDs would be extremely disturbing. The design is kept simple and rubber rings on the upper and lower surface keep the charger and phone from sliding around. Very simple to use! Charging is easy and pretty fast considering it’s wireless (though this doesn’t matter too much to me since I charger overnight). For those that are sensitive to sound and light, one of the main benefits of this charger is that unlike other chargers with fans or bright lights, this charger is totally silent and the light doesn’t stay on. Very pleased. Works good on my iPhone 8 Plus but with the silicone case on it I need to position perfectly in the middle to charge. Purchased for Galaxy S10. I have an Incipio hard case on it, and so far it has zero problems connecting when i put it on the pad to charge. Some people reported problems with centering it to charge, i have not found this to be the case, it charges great. Would recommend to buy if you want to have a wireless charger!! Great for the iPhone X! Charges fast at 7.5W with the right power adapter. What I like most is that the light, this one looks very nice when it’s on but I didn’t want it to stay on since I use this at night and am sensitive to light. It turns off by itself and doesn’t keep me up.I’ve never had it get too hot even though I have a case on my phone.Another nice feature is the little pads on the top. I use my phone as my alarm and even though it vibrates it always stays right there on the pad. Great charger and I recommend it. It’s great that finally be wireless charging on the iPhone X. Looks good on my desk too. Works great and loads pretty well. I ordered the charging pad for my iPhone Xs Max because I wanted to use the wireless charging.For me, the speed does not matter. I charge my phone overnight if I need to charge in a hurry, I have a normal charging cables where I might need them (office, car, home).It was important to me that the lights go out. While the light does shine for a while to let you know it’s working it doesn’t stay on. It’s a design feature that I really appreciate.The pad itself feels very premium as it’s made of metal and a has a rubberized surface, so that the phone does not slip. From every perspective I can think of this is a fantastic charger.For me, 5 out of 5 stars. A great value for the performance. I ordered two wireless chargers, one for the office and one for at home. Looks very cool, nice and flat. Connection is easy. You still need your own power adapter but nearly any should work. Charging speed is completely fine. The build-quality is outstanding. 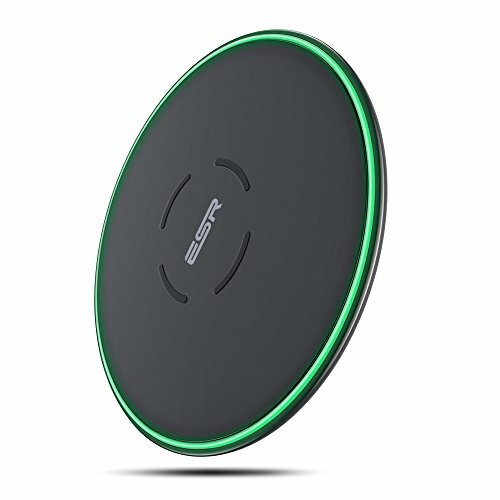 I want to share my experience with this wireless charger. I hope it helps.For quality, this charger is outstanding. It feels like it should cost a lot more.The package includes the charging pad itself and a USB cable.For functionality, the charger is pretty self-explanatory. Simply plug it into your cell charger and put your phone on the pad; it immediately starts charging. (In my case, Apple iPhone Xs).When it first starts charging it has a green light around the rim that glows for a while and then turns off. At first I thought it stopped charging but I checked and it was just the light that went off. The fact that the light turns off automatically makes it ideal for using in the bedroom. I am very satisfied and would recommend this if you’re looking for a great wireless charger. Looks good and charges my iPhone.Charging speed is faster than others wireless chargers, and I’ve found nothing to complain about.At the moment, I use it at work, because my cell phone is often just sitting on my desk there. Now it can charge during that time and when I need to use it I typically have a full battery.I’ll probably buy a second one for at home by my bed.The light doesn’t stay on for too long so it should be perfect for using it at night.